The Lodge regretfully announces the passing of Deacon Emanuel M. Brown, uncle to Sergeant Cynthia Jackson-Boothe. Viewing- Tuesday 3/26/2019 4pm-8pm at First Mt Olive Freewill Baptist Church 618 North Hammonds Ferry Rd. Peacefully on March 13, 2019 ADRIAN HUGHES, IV; beloved husband of 48 years to Deborah A. Hughes, cherished father of Rebecca M. Hughes and her husband, David A. Smith and Adrian Hughes, V and his wife Lindsay; dear brother of Mary Elizabeth Becker and her late husband Paul; adoring grandfather of Caroline, Natalie and soon to be granddaughter #3. Also survived by Josephine and Russell. The family will receive friends in the LEMMON FUNERAL HOME OF DULANEY VALLEY INC., 10 W. Padonia Road (at York Road) Timonium, MD 21093 on Sunday, 2-4 & 6-8pm. A Celebration of Adrian’s life will be held in the funeral home on Monday, March 18 at 11am. Interment Dulaney Valley Memorial Gardens. In lieu of flowers, contributions are encouraged in Adrian’s name to the Smithsonian Institution, please visit www.si.edu. It is with deep sadness to announce the passing of Past FOP Lodge #4, President Bruce Joseph Pfarr, on March 4, 2019. He served the membership as President from April 1974- November 1974. In 1962, Bruce enrolled in the Baltimore County Police Academy and served as an officer and later a detective with the Baltimore County Police Department for 20 years. He was honored to be elected as President of Lodge 4 Fraternal Order of Police in 1974. A Celebration of Life will be held at the Moosehaven Chapel on March 25, 2019 at 1 PM. The Lodge regrets to announce the death of Gary John Barber who passed away on March 4th 2019. Gary Barber was the loving father to Corporal Greg Barber of the Precinct 9 Traffic Team, Detective Danielle Barber of C.I.B Burglary, and the cousin of Officer Sean Beckman of the Parkville Traffic Team. A funeral service will also be held on 03/06/2019 at 2000 hours. All are welcome to attend. In lieu of flowers donations may be made in Gary Barber’s name to the Officer Down Memorial Page. Please keep the Barber family in your prayers during this difficult time. With sadness, the Lodge regrets to announce the passing of Mary Carol Leimbach, mother of Detective Steve Leimbach #3672 on Sunday, March 3, 2019. Mrs. Leimbach was 83 years old and will be cremated. A Memorial Service will be planned in the spring. Please keep the Leimbach family in your thoughts and prayers during this difficult time. The Lodge regrets to announce the passing of William L. Denny, age 95, of Bel Air, Maryland who passed away on March 1, 2019. William L. Denny was the grandfather of Officer Matthew Denny #4338 (assigned to Aviation) and his wife Jen Denny #4715 (assigned to Parkville Precinct 8). The Lodge regrets to announce the passing of Margie Wilhelm, stepmother of Cpl. Pat Wilhelm of the Traffic Management Unit, on 2/28/2019. Funeral is Tuesday 3/5 at 1100 hours Zion United Church of Christ, 8701 Cottington Rd, White Marsh. Burial will be a private function. Our thoughts and condolences go out to Cpl. Wilhelm and his family. 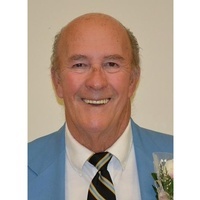 Death Notification: John Edward Zech, Jr.